In effect, k casein can be viewed as a stabilizing protein or physical barrier that protects the casein micelle from a spontaneous calcium-induced coagulation. Similarly, according to another recently proposed model (the Horne Model), casein molecules are "polymerized" via hydrophobic cross-linking and calcium phosphate bridges (Horne, 1998). Since k casein does not bind calcium and cannot cross-link, it acts a chain-terminator (thereby limiting the size of the micelles). Chymosin is an aspartic protease (meaning that it contains aspartic acid residues within the active site of the enzyme) synthesized by mucosal cells within the fore-stomach of young calves. Its physiological function in the suckling calf is presumably to transform casein from a soluble or dispersed form in the stomach to a solid state, where it can then be attacked more efficiently by other gastric enzymes.The peptides and amino acids can then be adsorbed across the intestinal wall, satisfying the nutritional requirements of the growing calf. Chymosin performs a similar biochemical function in cheese manufacturing, albeit under quite different circumstances.When chymosin is added to milk, hydrolysis of k casein occurs precisely at the peptide bond located between residues 105 (phenylalanine) and 106 (methio-nine). As noted above, the product of this hydrolysis reaction, glycomacropeptide, separates from the casein micelles. Because milk contains more than 1,000 mg/L calcium, about 10% of which is in the ionic form, calcium-mediated coagulation readily occurs, and the first step in cheese making has been accomplished. It is also important to note that the casein subunits (and pcasein, in particular) can also be attacked by chymosin and other proteinases present in the chymosin mixture by milk-derived pro-teinases (particularly plasmin) and by proteinases produced by microorganisms (including the starter culture). The hydrolysis of casein by these proteinases may have serious consequences, both good and bad, during the manufacture of cheese, as will be discussed later in this chapter. Horne, D.S. 1998. Casein interactions: casting light on the black boxes, the structure in dairy products. Int. Dairy J.8:171-177. Lucey,J.A. 2002. Formation and physical properties of milk protein gels.J. Dairy Sci. 85:281-294. Lucey,J.A., M.E.Johnson, and D.S. Horne. 2003. Perspectives on the basis of the rheology and texture of properties of cheese. J. Dairy Sci. 86:2725-2743. Walstra, P. 1999. Casein micelles: do they exist? Int. Dairy J. 9:189-192.
via a salt extraction process. The relatively high cost of this enzyme along with increasing demand and sporadic supply problems have long driven cheese ingredient suppliers to develop less expensive, alternative enzyme products that could perform the same function as chymosin. A genetically engineered form of chymosin was approved by the FDA in 1990, and several such products were later approved that have since captured much of the American chymosin market (Box 5-2). Chymosin, the enzyme that causes milk to coagulate, is an essential ingredient in the cheese-making process. Until the 1990s, calf chymosin (the major source) had been the most expensive ingredient (other than milk) used in cheese manufacture, adding about $0.03 to each kg of cheese. This was because the chymosin supply depended on veal production, which was subject to considerable market variations, as well as on production and purification costs. 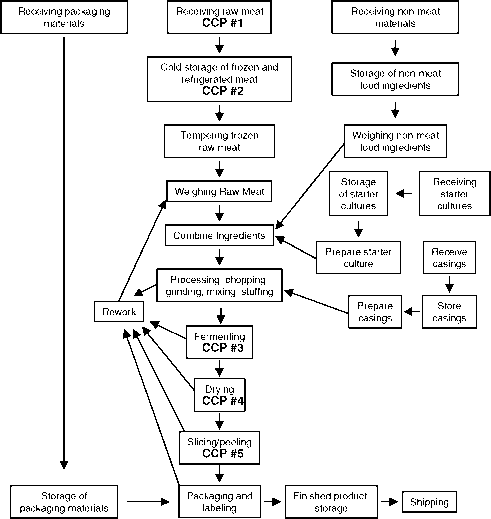 As the cheese industry grew worldwide, but especially in the United States in the 1960s, '70s, and '80s, the substantial increase in demand for calf chymosin created supply problems and led to even higher prices.Thus, cheese makers sought other, less expensive sources of coagulant. Among the early non-calf rennet substitutes were bovine and porcine pepsin.These enzymes coagulate milk; however, they have a number of undesirable features, most important being that cheese quality is not as good. In the 1960s, fungal enzymes (sometimes referred to as microbial rennets) derived from Mucor miehei and Mucorpusilus were isolated and commercialized.Al-though considerably less expensive than calf chymosin, these enzymes were also far from perfect. They had much more non-specific casein hydrolysis activity, resulting in yield loss and flavor and texture defects. Some were heat stable and residual activity could be detected in the whey, limiting the application of whey as an ingredient in other products. Still, price and other considerations (e.g., kosher and vegetarian status) led these products, and their improved, second-generation versions, to gain a substantial portion of the coagulant market. The search for enzymes with properties more like calf chymosin shifted to an entirely new direction in the mid- to late 1980s when recombinant DNA technology was developed. During this time, several new biotechnology companies began projects to identify the gene coding for chymosin in calf abomasum mucosal cells and expressing the gene in suitable host cells (Marston et al., 1984; van den Berg et al., 1990; Dunn-Coleman et al., 1991). It was immediately recognized that the actual genetic material of interest was not going to be the chymosin gene in the form of DNA, but rather the mRNA transcribed from the DNA. This is because it is the mRNA, not the DNA, that contains the actual coding regions in eu-karyotic cells. Most eukaryotic genes contain coding regions (exons) along with introns, intra-genic regions of non-coding DNA. The latter are excised from the mRNA following transcription, leaving behind the edited mRNA that is ultimately transcribed. In the case of the chymosin gene, there are eight introns and nine exons. The problem of identifying the chymosin gene was even more complicated because the gene also contains a sequence that encodes for the pro-enzyme form of the chymosin protein. Prochymosin contains a 42 amino acid N terminal region whose function is to maintain the enzyme in a stable but inactive form thereby preventing the enzyme from hydrolyzing proteins within the producer cell itself.The chymosin genes also encode for a leader sequence that directs secretion of the protein across the membrane and out of the producing cell.This "pre" region is cleaved during the secretion step, and the "pro" portion is ultimately autohydrolyzed in the acid environment of the stomach, leaving active chymosin. As molecular biologists began this research, therefore, they first isolated total mRNA from the mucosal cells (Figure 1). Following a simple purification step, the enzyme, reverse transcriptase, was used to make complimentary DNA (cDNA) directly from the mRNA.This cDNA was then ligated into a plasmid vector and cloned into E. coli to make a library of E. coli clones, representing, in theory, all of the different mRNA species transcribed by the mucosal cells (including clones containing the preprochymosin mRNA).The library was screened, either using anti-chymosin antibodies or chymosin gene DNA probes, to identify clones capable of expressing the chymosin protein. Eventually, chymosin-expressing, recombinant E. coli clones were identified.